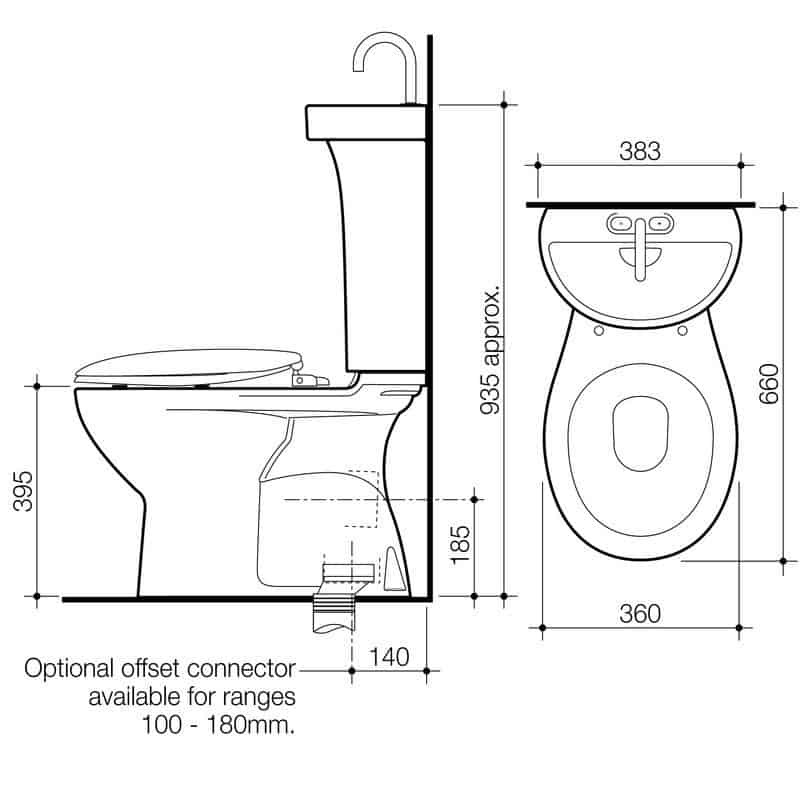 Caroma continues a proud history of water saving innovations with the Profile 5 range of toilet suites. 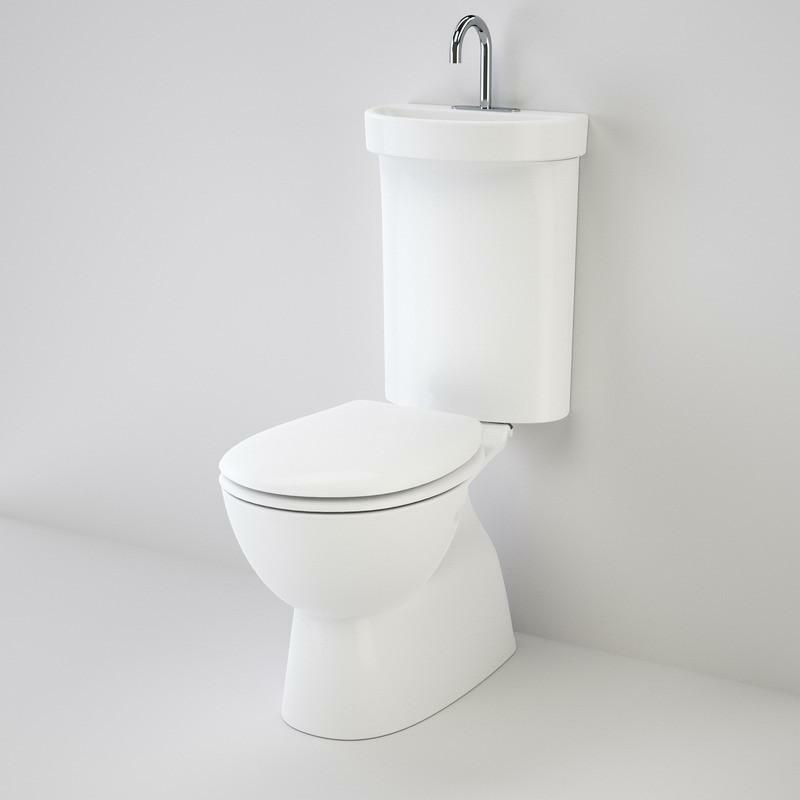 With a streamlined style and soft closing seat, the unique cistern design incorporates an integrated dual-flush push button and spout combination designed to lower total bathroom water usage. Profile 5 saves water by allowing the same water to be used for two purposes. Fresh water is first used for hand washing and then flows into the cistern to ultimately flush the toilet. PLEASE NOTE: ‘S’ or ‘P’ needs to be chosen on ordering.